3. Load plug into tool until brass tip seats against end of tube. 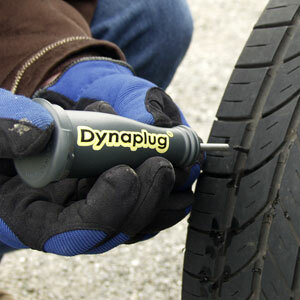 Note: If the insertion tube become clogged, clean with a Dynaplug® TUBE CLEANER dipped in denatured alcohol, available at your local paint or hardware store. NEVER USE SOLVENTS on the tool. 4. 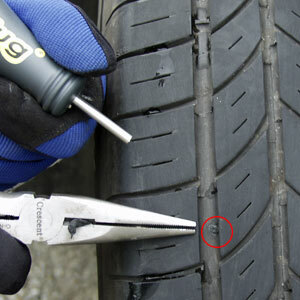 With pliers (when available), remove puncture object and note the direction of the puncture. 5. 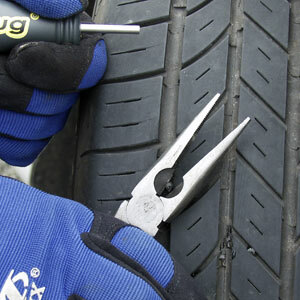 Align tool with angle of puncture hole and push straight through the hole. 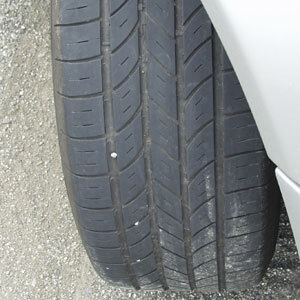 Once started, do not stop until handle hits the tire. 8. 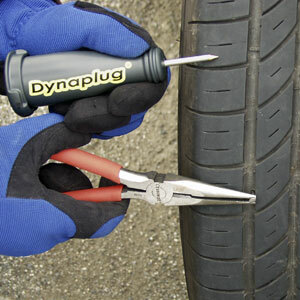 After each use, unscrew the tool end cap and hold tool up to the light and sight through stainless tube. 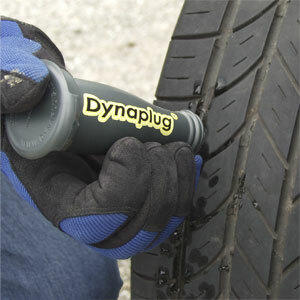 If any rubber elastomer is seen on the tube walls, clean with Dynaplug® TUBE CLEANER and denatured alcohol. 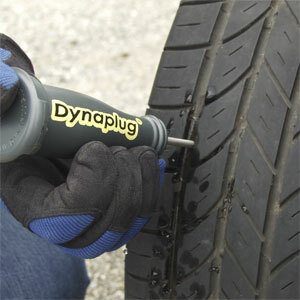 Never attempt to repair a hole that is larger in diameter than the Dynaplug® tool tube.